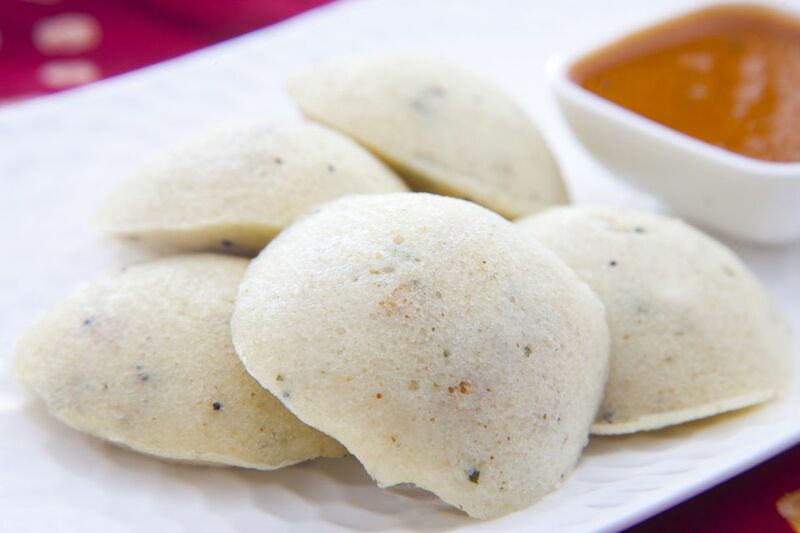 Idlis—savory rice cakes—were introduced into South Indian cuisine around the year 1250 and probably originated in Indonesia. Since that time, these cakes have become popular far beyond that South Asian country; chefs and home cooks have introduced many variations, including steamed idlis as well as fried rice cakes, which you can make with this recipe. This dish is so easy to make and goes well served with sambar or South Indian coconut chutney. Heat the oil in a heavy-bottomed pan on a medium flame. Add the curry leaves, dry red chilies, and mustard seeds and cook until the spluttering stops. Add the turmeric powder and idlis; mix well.